ENTERTAINMENT'S FUTURE IS MOBILE. LEAP WITH GALLCORP. It is no secret that world has gone mobile. Statistical data has consistently shown that mobile devices are rapidly replacing the way people reach their computing needs. 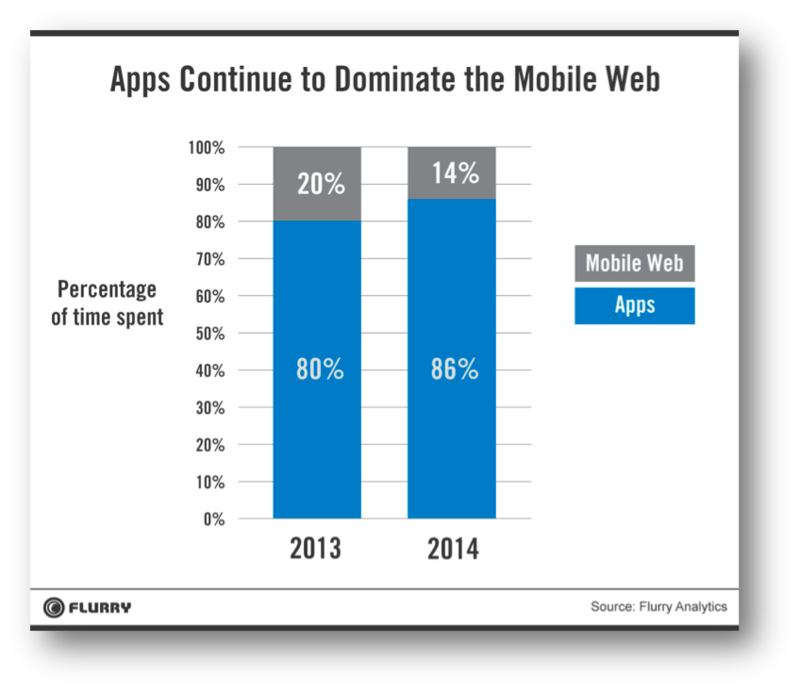 Not only is mobile use replacing the desktop computing experience, but mobile app use is now even surpassing the web itself. 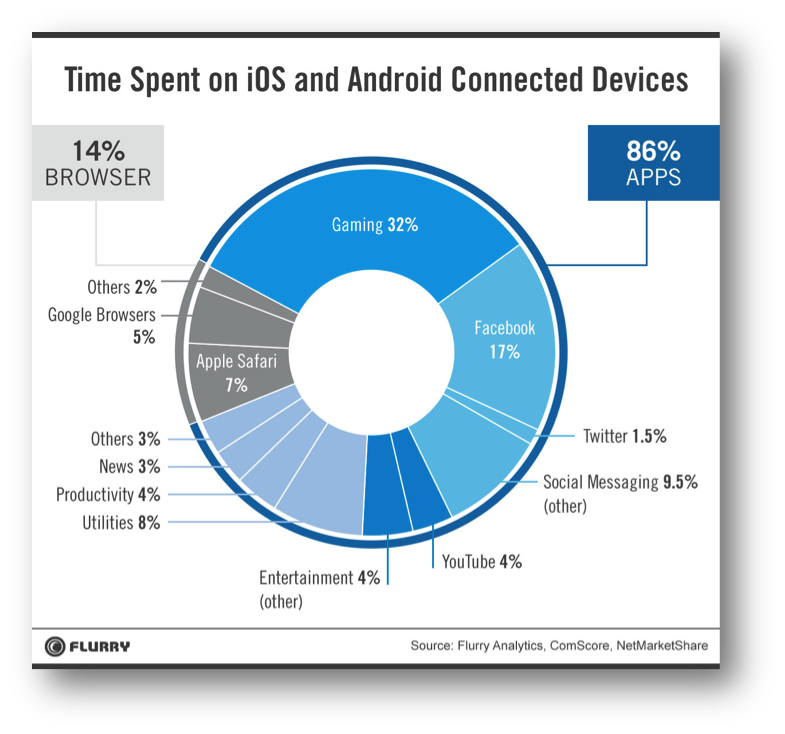 People are spending more time on their devices, and more time on their devices is spent on apps. Time is everything. Users are not only spending more time on their devices, more time using apps, but nearly a third of all time spent on a mobile device is spent playing games. Yet, despite the fact that gaming is consistently receiving more time than other facets of mobile devices, ad revenue is simply not matching the higher levels of time spent. "There are other display networks and other search monetization players out there, but if we combined mobile search and display ads on the mobile web, Google probably has a high market share in terms of ad revenues. The rest of the apps, including gaming apps, are simply not getting their fair share of advertising spent. 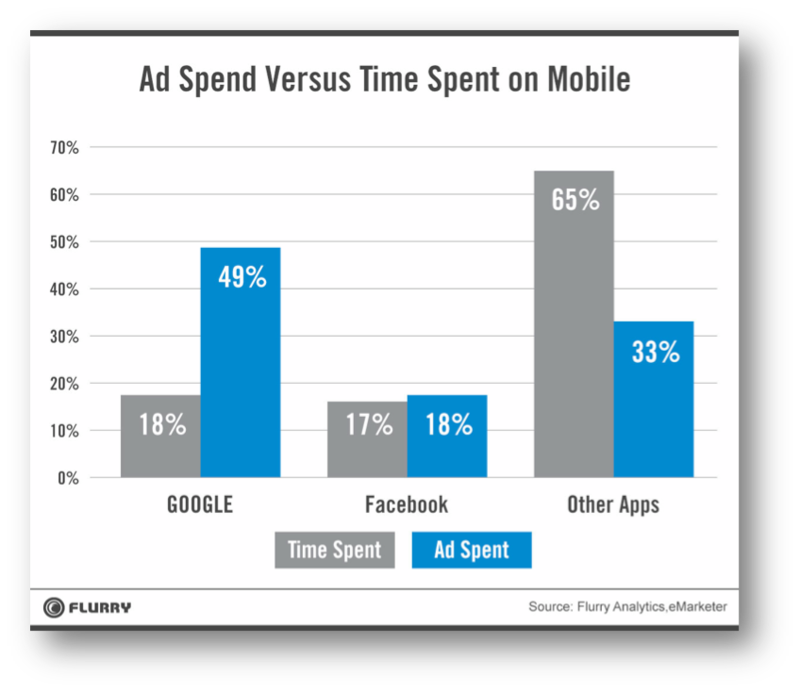 The “other” apps command 65.3% of time spent but only receive 32% of ad revenues. This represents a massive opportunity for applications, including gaming apps, to monetize through advertising. eMarketer also projects that the mobile ad market will grow 75% this year, making the opportunity even bigger. In fact, analysts predict that in-app ad revenues will surpass web display ads in 2017. ...(O)ne thing is clear - apps have won and the mobile browser is taking a back seat. Now every company in the world including Google is adjusting to that reality." Investors now have a chance to be a part of this global trend. Through advertising on our products, helping to fund our development, users are in a unique opportunity to join the industry, rather than simply watching it grow from the sidelines.